When it comes to making professional connections online, LinkedIn ranks right at the top. Recruiters use it all the time to find new talent, so if you set up your profile correctly, it can bring in plenty of job opportunities. You can also build a strong network by reaching out to others, whether you know them or not, on the site. Networking on LinkedIn doesn’t take much of a time commitment, especially when you have a daily plan for how you use the site. Let’s take a look at some things you could be doing every day to stay present on LinkedIn and get the most out of it. The first thing you should do when you log into LinkedIn is approving anyone who has requested to connect with you. Remember that since people use LinkedIn to network, it’s common to connect with people you haven’t met in person. The person requesting to connect with you may be a potential client or business partner, so it’s smart to accept everyone. Whenever someone connects with you, take the time to send a message thanking them. This helps build a more personal connection. Before you message, check out their profile to find out more about them. Reference a detail from their profile in your message so your message doesn’t just look like a canned response that you send to everyone who connects with you. If you have anything in common with them or see a way you two could work together, mention that. You’ll build your professional network much faster if you add people yourself. This is simple enough, as LinkedIn provides plenty of suggestions on people to add, and you can send a request in just one click. You can also search for people to add, setting search filters for specific job titles or industries to make the type of connections you want. Most people who view your Linkedin profile did so because they have an interest in what you do, so reach out to them with a personalized message. Read their profile to see what they do, and consider ways the two of you can connect further or work together in the future. In your message, introduce yourself and briefly explain what you do. If you have an idea for how the two of you can help each other, mention that, as well. Did someone from your network post content that you enjoyed? Share it and write a quick headline with what you thought about it. 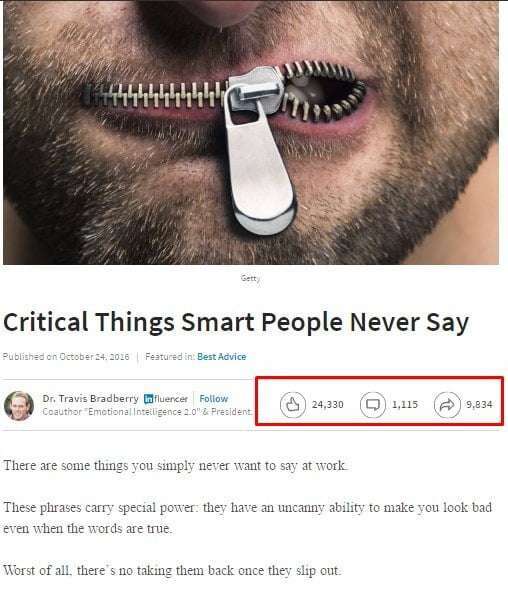 Whenever someone posts their content on LinkedIn, they want others to read and share it. By sharing other people’s content, you’re not only spreading valuable information to other users, but you’re also making it more likely that people will share your content. It’s the principle of reciprocity at work – you do something for another person (sharing content they’ve posted), and they are more likely to do something for you in return (in this case, sharing your content when you post it). LinkedIn Pulse is an excellent way to get your content out to a large number of people. You can either write a piece of content specifically for LinkedIn Pulse or share your existing content. If you share your existing content, there are multiple ways you can set up the LinkedIn Pulse post. One option involves posting a link to the content on your site, with a headline, a featured image, and a short description. Or, you can post all of the content on LinkedIn Pulse, and include a link to where it appears on your site. Some people don’t like going to other websites to read content on LinkedIn Pulse. This means that if you link to your content, you’ll likely get lower reader numbers, but more people clicking through to your site if they are interested in your post. If you post everything, you’ll get more readers, but fewer people clicking through to your site. Browse through statuses and content shared by the people in your network, and write comments about them. One of the main issues, when people aren’t making meaningful connections on LinkedIn, is that they aren’t interacting with anyone in their networks, they’re simply making connections and moving on. Just like with your personalized messages to new connections and people who have viewed your profile, it’s all about making that personal connection. As you interact with people in your network through comments, they’ll start to see you as more than just a LinkedIn connection. Over time, this can open up new opportunities for you. When you comment on someone’s status or content they’ve shared, that comment is also visible to anyone in their network, which could lead to more connections for you. LinkedIn is a fantastic networking tool when you use it correctly. You don’t have to commit an hour every day to managing your LinkedIn profile, as you can complete all the steps here within 15 to 20 minutes. As you make this part of your daily routine, you’ll also be able to go through all the steps more quickly. More importantly, you’ll be making valuable connections that can lead to exciting new opportunities. 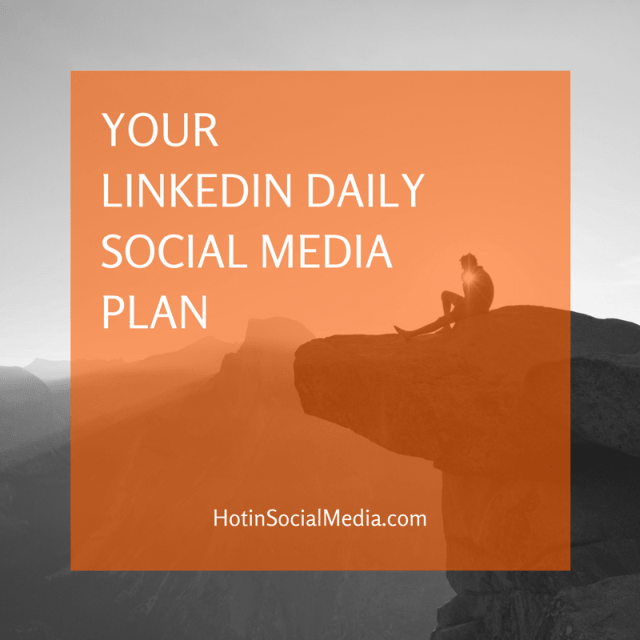 Want to create a daily plan like this for all of your other social networks? Read this post.